This powerful Genuine Leather Fashion Wallet will keep your your checkbook, bills, IDs, cards, and cash well organized. Extremely practical and functional for everyday! This purse has been made of high-quality metal zippers and hardware for durability. Gold-tone hardware has high resistance to rust, corrosion, and tarnishing, which will be shiny as a new one even years later. We use streamlined doubled stitching in every joint in our wallets. Hand feeling and deeply impressed enjoy. Looks even better after using for a long time. The multi fold is designed for you to keep your things organized well, scratch resistant and durable with classic and vintage design, which make it convenient and suitable for daily life, make you outstanding and unique from others. Parcel arrived very quickly, for a week, packed securely in the way is not affected. 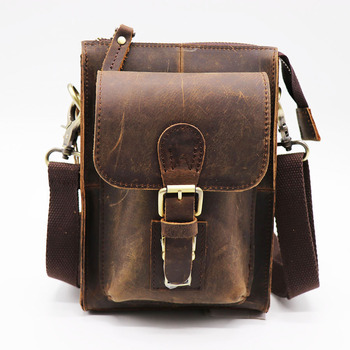 Purse good, defects and foreign odors, please smoothly and accurately, with the same description, color as the photo. Very cool purse! Recommend store!